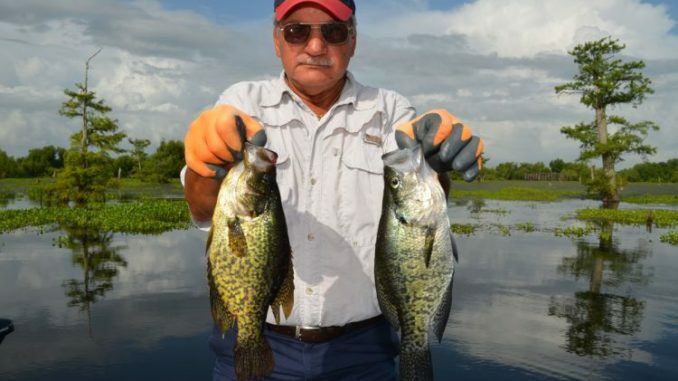 Winston Churchill coined the term “a riddle, wrapped in a mystery inside an enigma.” He was referring to Russia, but he could just as likely have been talking about crappie management. 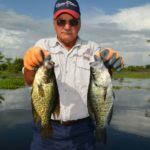 Called white perch in North Louisiana, sac-a-lait in South Louisiana and by a whole host of names elsewhere, white and black crappie populations — wherever they occur in the U. S. — are notorious for boom and bust population cycles. This is especially true for reservoirs compared to overflow swamp areas. Research indicates that crappie will produce a highly successful spawn (year class) once every three to five years. The year classes in between are weak and contribute few fish to the harvestable population. Unstable fish populations make for unhappy fishermen, who often push their fish and game management agencies to put more restrictive regulations in place. While reductions in limits are sometimes asked for, most requested is the imposition of a minimum size. Ten inches seems to be popular. It makes sense to the average angler that if you have to put fish back in the water, they will just hang around, eat and grow bigger until you can catch them later. 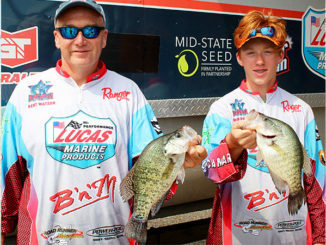 In theory, the harvest of crappie from good spawn years will be spread over a longer time. But research shows that the results are not always what anglers expect. Natural mortality — the death of fish due to things other than fishermen — is the culprit. In most water bodies far more fish die of natural causes than are harvested by man. Minimum sizes work best on fish populations that have a very high harvest by fishermen and low natural mortality. Some things do change when a minimum size is put in place, however. Survival of fish from age 1 to age 2, age 2 to age 3 and age 3 to age 4 does increase by at least a small amount. And obviously, the average size of fish harvested increases, mainly because the smaller fish, which would have pulled down the average, are not kept by fishermen. But the number of fish harvested by anglers from most water bodies with 10-inch minimum size regulations decreases sharply, simply because too many fish die of natural causes during the time that harvest is pushed back. Most of the time (but it is important to note, not all the time) the larger size of fish harvested is offset enough by the reduced harvest in numbers that the total weight of fish taken from the lake is also reduced. Not a lot of research has been done to explain why crappie populations are so cyclic. One of the most interesting projects was done in Rathbun Lake in Iowa, where biologists sampled the numbers of larval crappie for several years and at the same time recorded environmental data. Like many fish, tiny larval crappie are nearly free-floating and helpless in the water for a period of time after hatching. The biologists towed very small mesh nets with boats to make their samples. The biggest correlation between high larval crappie numbers was with water levels. When they were high, numbers of larval crappie were also high. The only exceptions to this relationship were in years of low water clarity. Larval crappies were never found when waters were very muddy during spawning season. The biologists felt that based on previous research, adult crappie abandoned their nests when muddy water created low light conditions on the bottom. They noted that actual suffocation of the eggs may also have occurred. Temperature also was an important, but not overriding factor. 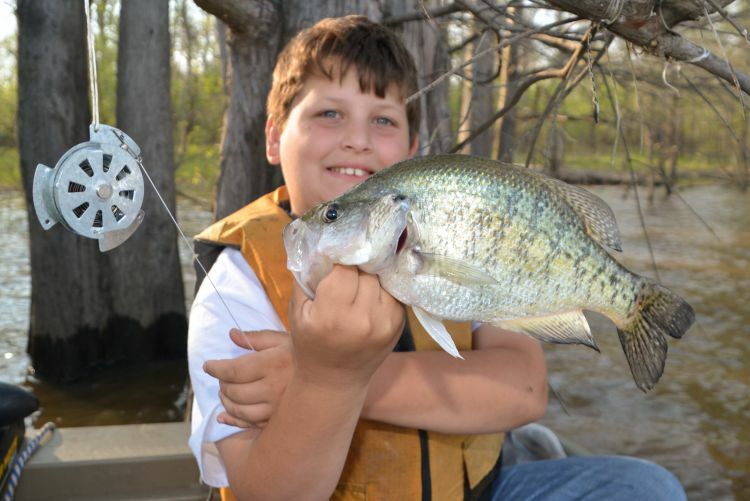 Crappie began spawning when water temperatures reach 61 degrees. A gradual and steady temperature rise, with few ups and downs during spawning season, seemed to produce the most spawning success. The rate of temperature rise did not seem to influence the length of the spawning season. Spawning lasted 27 to 47 days during the study years. Wind played a small role in catches of larval crappie, as well. Larger catches always occurred under low wind conditions, but many poor catches were also made under low wind conditions. But high catches never occurred under high wind conditions. This may have been due to nest destruction in shallow spawning areas by wind-produced waves. 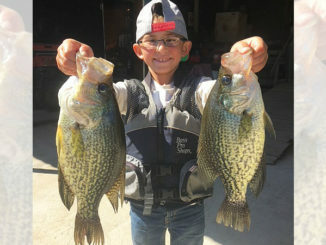 In Rathbun Lake, high catches of adult crappie were made by fishermen two to four years after a year of high larval crappie numbers. 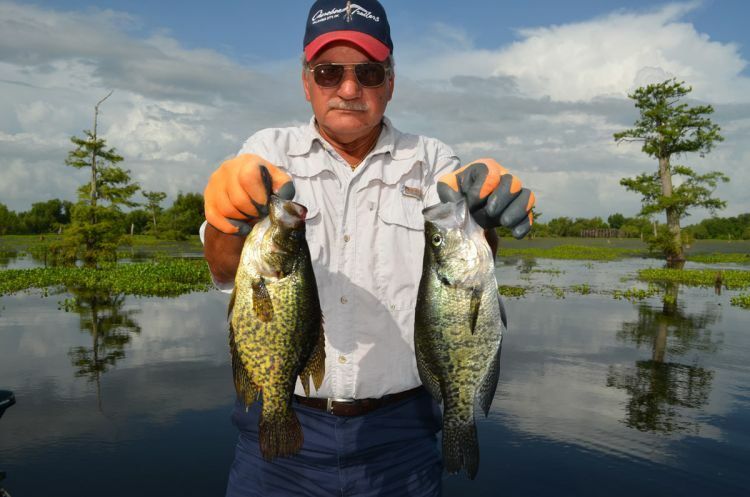 A glance at the Louisiana Fish Records indicates that crappie may be more cyclic in Louisiana than many people think. 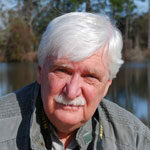 Five of the Top 10 black crappie were caught in one year — 2003. 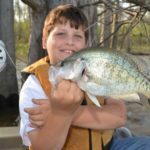 Of the Top 10 white crappie, four were caught in 2016 and two in 2015. Research indicates that crappie will produce a highly successful spawn only once every three to five years. But year classes in between are weak and contribute few fish to the harvestable population.